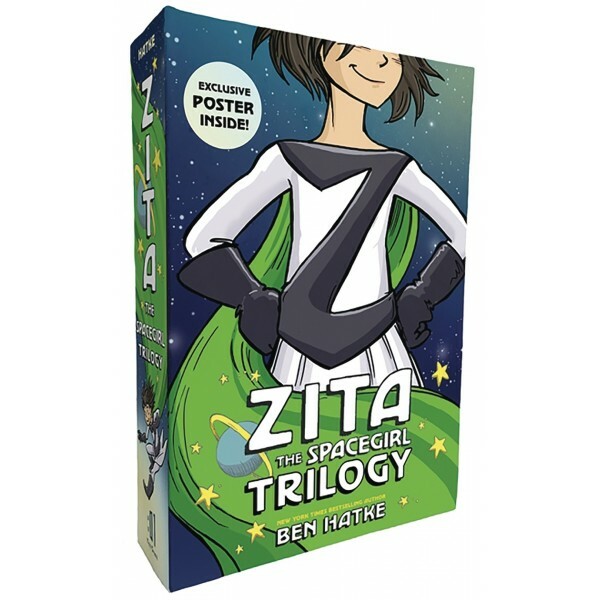 Don a cape and follow the indomitable space explorer Zita from start to finish! From her unlikely origin as a humble earth girl to her wildest spacefaring adventures — robot doppelgangers, space whales, doomsday cults — it's all here in one deluxe package. In Zita the Spacegirl, Zita stumbles into adventure — and the role of intergalactic hero — when her best friend is abducted by aliens and she charges off after him. Then, in Legends of Zita the Spacegirl, she's horrified to learn that someone is wreaking havoc... disguised as her! Finally, in The Return of Zita the Spacegirl, a wrongfully imprisoned Zita must plan the galaxy's greatest jailbreak — with the help of an unexpected ally. 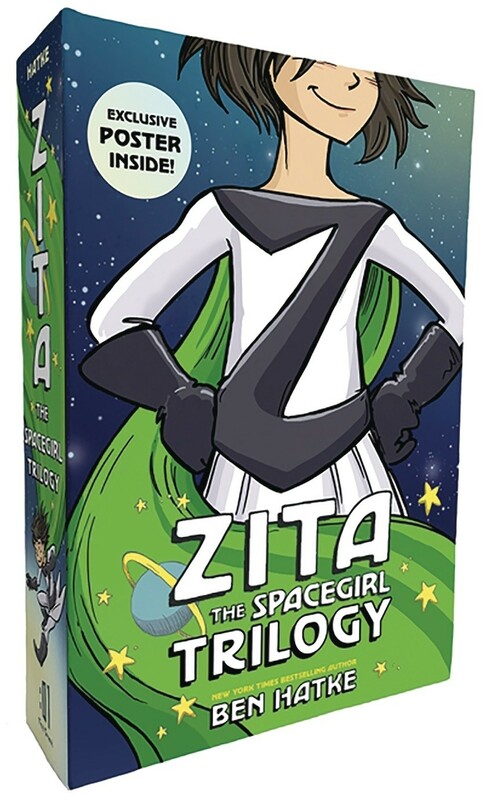 This sturdy boxed set includes the paperback editions of Zita the Spacegirl, Legends of Zita the Spacegirl, and The Return of Zita the Spacegirl, plus an exclusive poster by New York Times-bestselling author/illustrator Ben Hatke.